Joomla 1.7 Beez_20 Help – How to change the ‘Support Joomla’ images at the bottom of the Beez 20 Template. Download a gallery component which contains a image module to display images. Upload images and add them to your banner component. 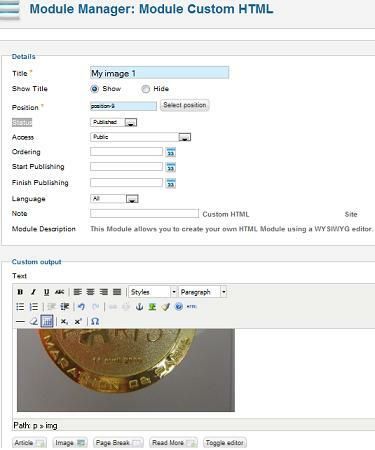 Upload images and add them via your ‘Custom HTML module type. Below I will show you how to see what is in position-9, position-10, position-11, then guide you in how to add an image via the easiest way – ‘Custom HTML’ module type. Using the ‘Custom HTML’ is great if you have static images that you do not want to change. If you want to add rotating banners in these positions, all you need to do is use the Banner Component to add a new banner and upload images. Click on ‘Insert’ image into the text area of the ‘Custom HTML’ module. Save the Custom HTML module. After you are done, go to your Joomla 1.7 frontend and refresh your website. You should see the image you uploaded and inserted into your Custom HTML position-9 show up on the Frontpage. Repeat the above steps to replace the images in position 10 and position 11. This is by far the best site I have found for customizing the Joomla templates. No technical jargon, easy step by step instructions that even a complete newbie like me can follow. With absolutely no previous cms experience I changed my banners, header image and logo, footer text all within a couple of hours. Thanks so much for your kind comments. I’m glad my posts helped you with your site. If you have any questions, please let me know. WOW! Elaine I wish you were in Montreal! This was so easy! excellent tutorial and easy to follow. I’ll check all the other ones. Thanks! No problem, glad I could help. 🙂 I will be visiting Quebec soon in the summer time. Hope it will be a good experience. 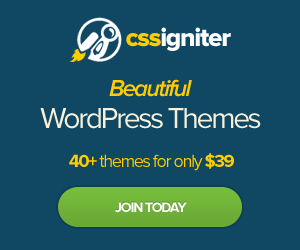 What if you want to replace the image with php or java advertising code? I tried the custom HTML and it did not work. I am building a site using the Joomla 1.7 and OIOPublisher for the advertising. I want to place ads at position 9, 10, and 11, and above the header at the top. I am new to this and have no idea where to put the code. Thank you for any information. I have been reading a lot of posts from your website and I am grateful for the information you have shared thus far.